Oh and in case you missed it earlier today I have a *COUPON* for 10% off all my patterns in my Etsy Shop. Update: a downloadable tutorial will be available later today on this blog! Would love to have a template to make some owls! 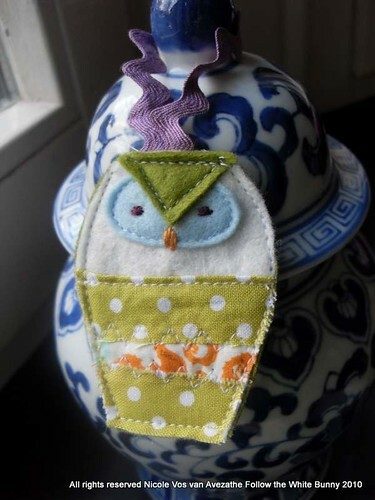 love this owl ~ it's really sweet. Scraps you say?? Really cute Nicole!! soo cute! Yes of course, I to would love to have a template. Thanks for sharing! !